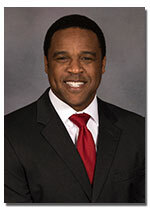 Dr. Melvin Lewis earned his Ph.D. in Health Education and Health Promotion from The University of Alabama in 2003. Before joining The University of Alabama, Dr. Lewis worked 15 plus years at Medco in various management roles in the sales department; and in collaboration roles with the marketing unit for international market expansion. He earned sales and leadership certificates from Carew International. While at Medco, as the National Sales Director, he oversaw the sport sales division. He operated closely with the legal, finance, and logistics departments to ensure risk management minimization and maximum gross profit that delivered to the bottom-line. Dr. Lewis strategically led core product marketing activations and customer relationship management (CRM) techniques. Dr. Lewis worked in the National Football League (NFL) as an Assistant Athletic Trainer for the Buffalo Bills. During his employment in the NFL, Dr. Lewis oversaw facility projects, vendor management, and procurement of sports supplies and equipment. This is Dr. Lewis’s fourth year at The University of Alabama and he is an Assistant Professor in Sport Hospitality. In addition, Dr. Lewis is a Faculty Senate member and Fellow of the Alabama Program in Sports Communication at The University of Alabama. In 2016, Dr. Lewis earned the Penny Allen Endowed Scholarship Award. The award recognizes outstanding leadership, service, and contributions to student life at The University of Alabama. Dr. Lewis’s current research focuses on sports media, race, sport-consumer behavior and technology in sports. He has co-authored papers in the Journal of Global Sport Management, International Review for the Sociology of Sport, Communication and Sport and International Journal of Hospitality Beverage Management. Dr. Lewis is a native of Tuscaloosa, AL. He earned his Bachelor of Science, Master of Arts and Doctor of Philosophy from The University of Alabama.